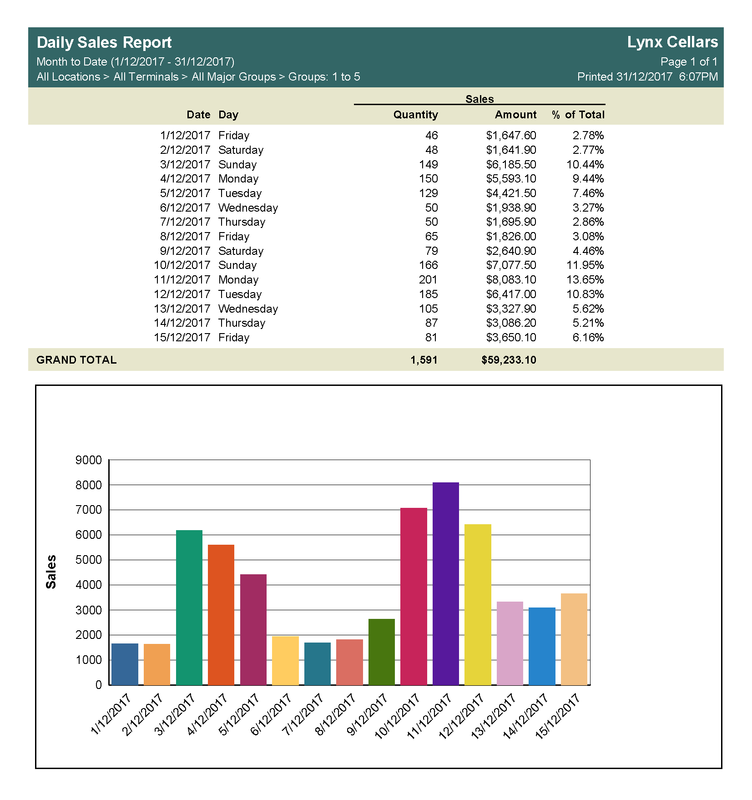 The Daily Sales Report has been replaced by a new Period Sales Report with Daily/Weekly/Monthly options. 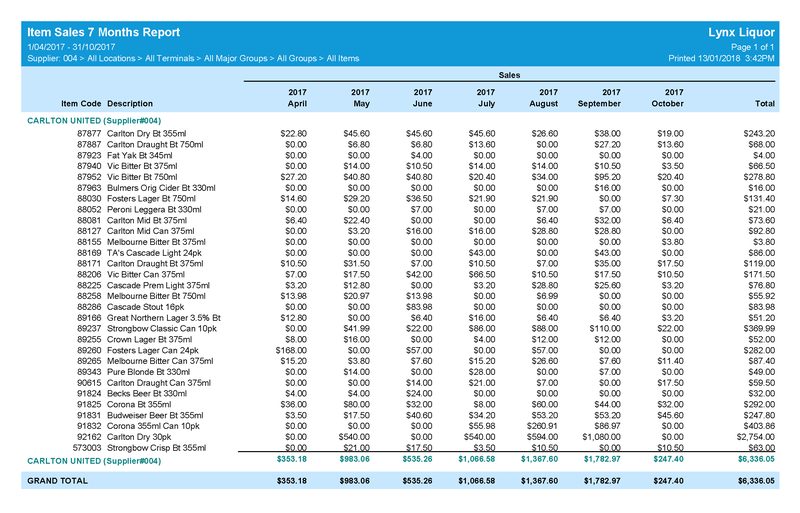 These reports provide a way to quickly analyse sales trends over time and the optional charts make it easy to visualise the trends. 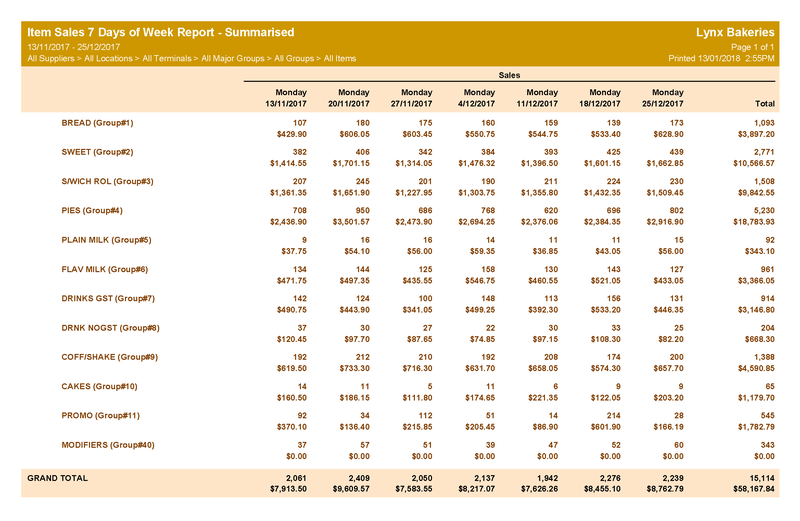 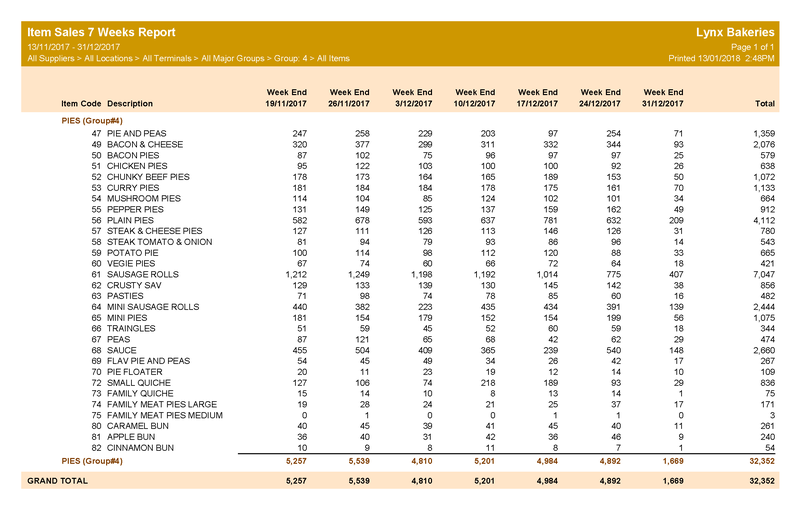 These new reports allow you to compare sales of particular items across 7 days, 7 Weeks, 7 Days of Week or 7 Months. 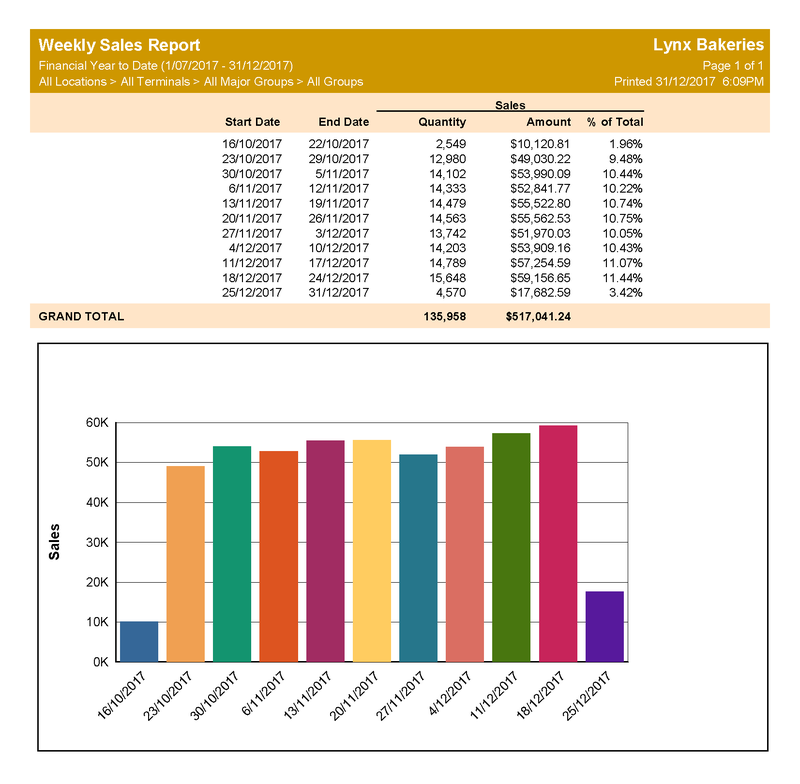 Sales quantities, sales amounts or both can be shown on these reports and the summarise report option can be used to get an overview by supplier, location, POS terminal, group or price level. 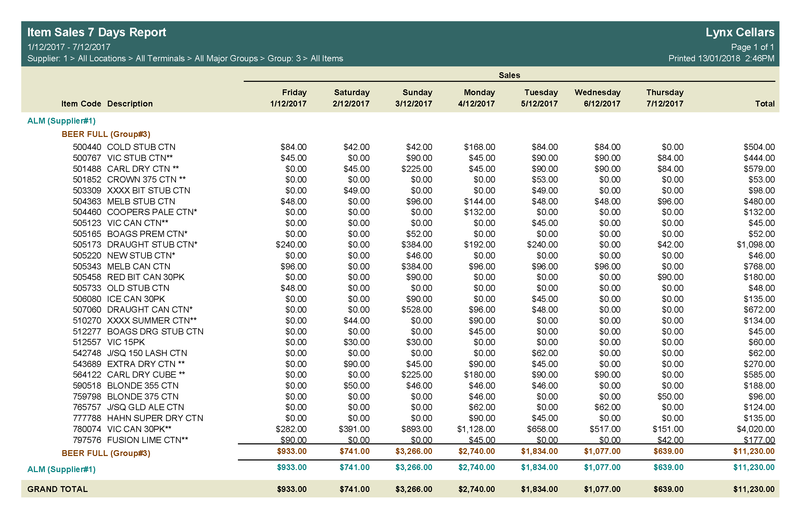 As seen in the reports above Version 9 will also include a new Report Colour Scheme setting with three different colour options and one grayscale option. 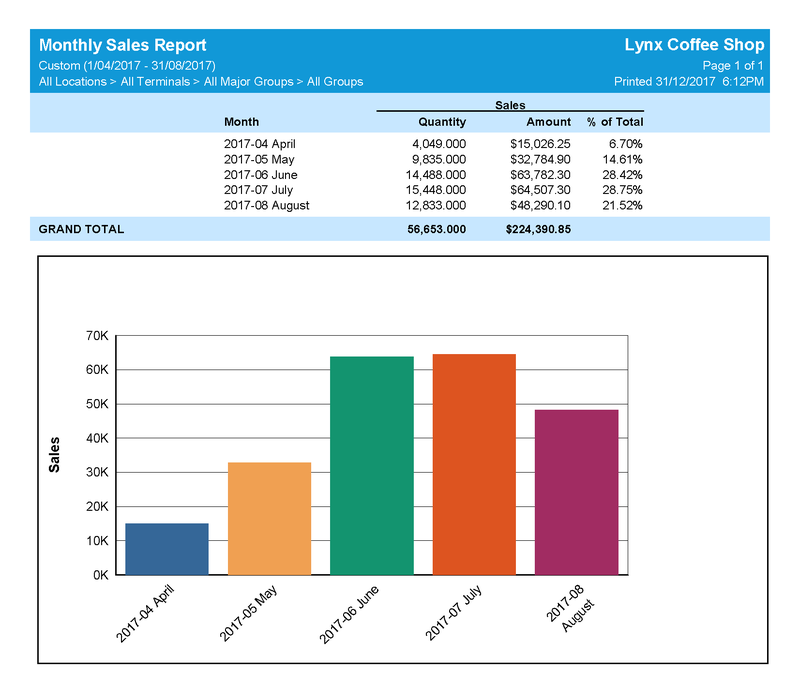 Contact your Uniwell Lynx Reseller for more information about Version 9 or submit an enquiry via our Contact Us page.